We are excited to help plan your wine country tour! If you have 12-36 passengers, or a large group of up to 150, our executive buses are a good option. Our tour specialists will work with you to develop your custom route (depending on the timeframe you have and which wineries you would like to visit). Knowledgeable and passionate drivers who are excited to show you the ins and outs of Sonoma. A luxury ride that is enjoyable and smooth. All tasting fees are pre-paid (included in your package). Spectacular lunch and dinner options. Historic Tours – Our California historic tours visit sites dating back to the time of General Vallejo, the Mission Era, and the first wineries of the region. Your tour may include visiting Buena Vista, the first commercial winery in Sonoma. Architectural Tours – If your group has an interest in incredible architecture, we can show you the best of the region. You’ll be treated to unique and unforgettable examples of local architecture, old and new. Garden Tours – Among other garden sites, we look forward to showing you Cornerstone (the landscape gardeners’ outdoor museum). Do you have a wedding party or maybe a large group of golfers attending a tournament? We offer executive shuttles that accommodate 12-36 passengers and we can shuttle events of up to 400. We will help plan the best way to transport your group. Maybe you are looking for a more economical tour that is not private? Please visit our Daily Wine Tours page. Check out our other Sonoma Wine Tours! Not sure which area of Sonoma to tour? 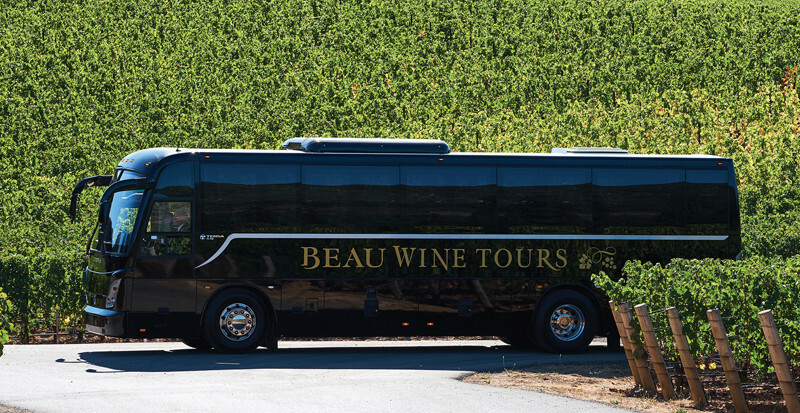 Take a moment to check out Beau Wine Tours’ specific routes, including Sonoma Wine Tours, Russian River Wine Tours, Dry Creek Valley Wine Tours, and Alexander Valley Wine Tours. For the wine connoisseur, our Collector’s Tour may be the perfect match. Enjoy! 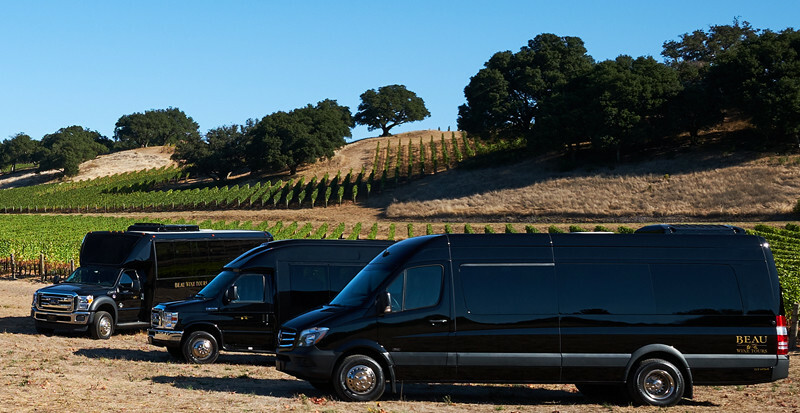 If you are looking for a more economical Napa Valley group wine tour experience, check out our Daily Napa Valley Limo Tours.